Toto, there’s no place like home. I had a blast spending this past week with good friends in Utah. But boy, it always feels good to come home. And after catching up on work, I decided to have an introverted night (especially after spending a week of 24/7-ness with friends) and indulge my favorite “comforts” of home. I turned on my favorite music. I lit some yummy candles. I watched (and choked up over) back-to-back episodes of Parenthood and Nashville that I had missed last week. I snuggled with my sweet little pup. And of course, I made some comfort food — pasta. Actually, I made a new macaroni and cheese recipe that’s coming on the blog next week (get ready!). And then I edited the photos from this fabulous skinny shrimp scampi that I made last week, and then I resolved to go out and get some shrimp and make another batch this weekend. 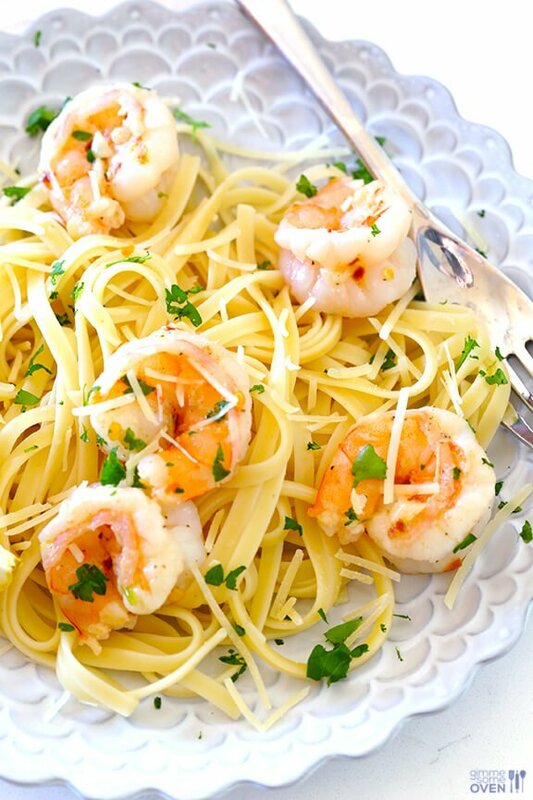 Because this shrimp scampi recipe is a total winner. And it can be made in just 15 minutes. And believe it or not, it’s also “skinny”. 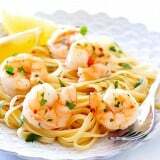 Shrimp scampi is traditionally a dish made with shrimp in a lemon-garlic-butter sauce served over pasta — heavy on the pasta, and heavy on the butter. 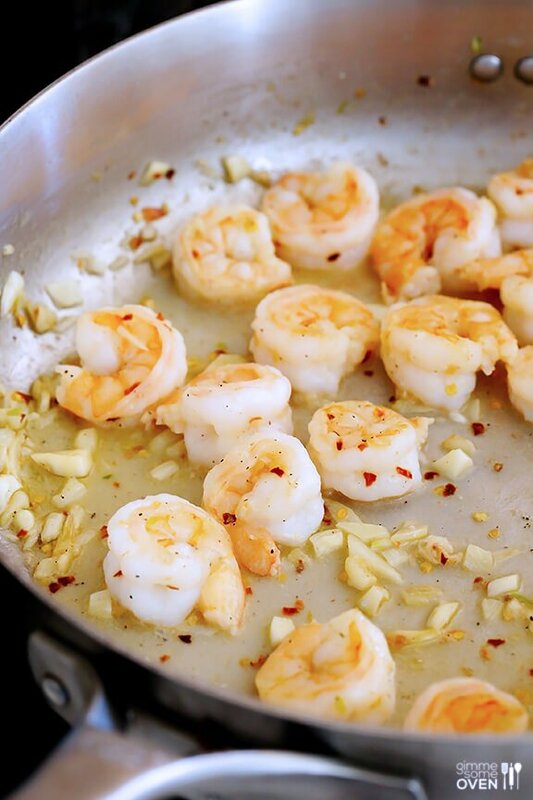 But when I make shrimp scampi, I like to flip that equation and go heavier on the lemon and heavier on the garlic. 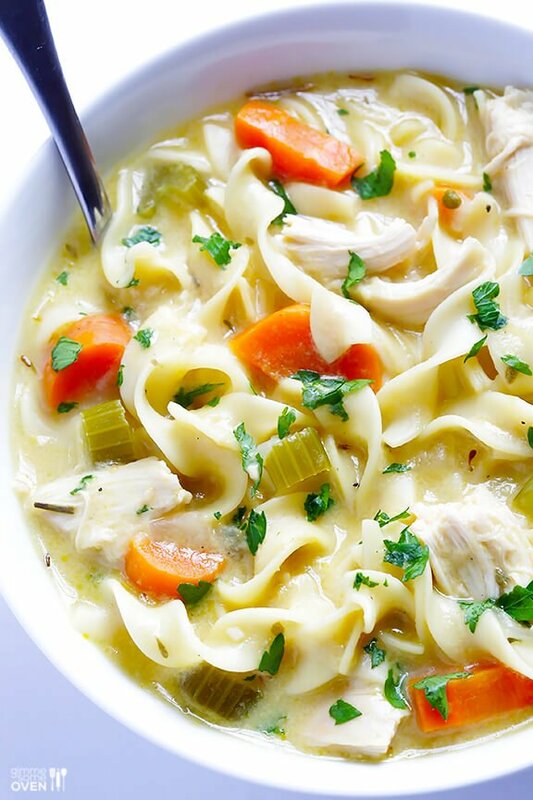 You totally don’t need tons of butter to have tons of flavor! Nor do you need an enormous portion of pasta. 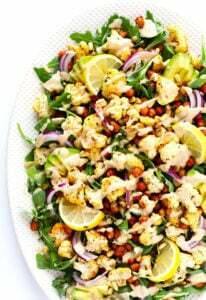 In fact, if you really want to go healthy with this dish, try serving it over quinoa or spaghetti squash for a change. Or my favorite — mix in some extra spinach and veggies in place of more pasta. 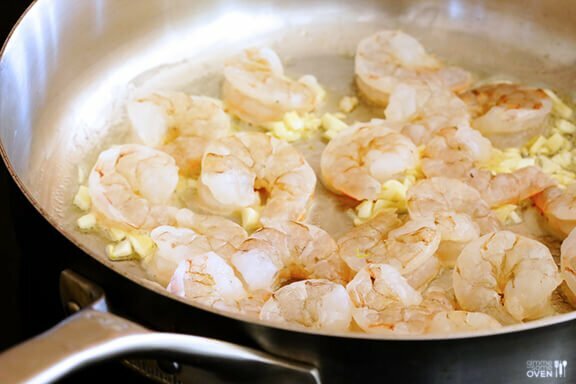 But for you traditionalists who are looking for a lighter approach, here’s how I like to make skinny shrimp scampi. First, begin by prepping those ingredients. 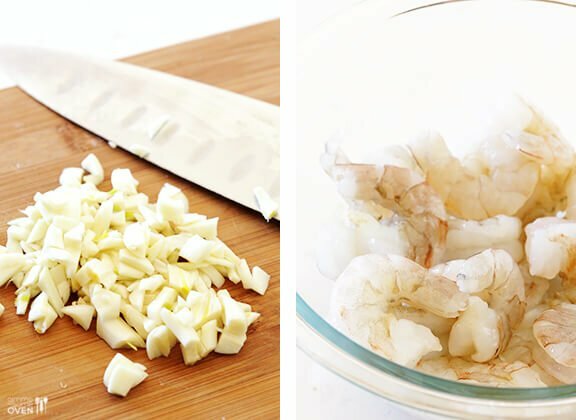 The main two you need are lots of fresh garlic and a pound of peeled and de-veined shrimp. You can use the shrimp with the little tails still attached if you want for “looks”, but I prefer 100% peeled. Start by melting 1 tablespoon of butter. Yep, that’s all we’re using in this one. Most traditional recipes call for an entire stick of butter, but I don’t think you’ll miss it. 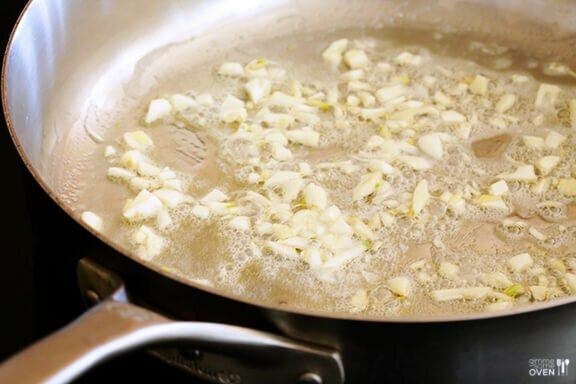 Then add the garlic and shallot and saute for a minute or two until fragrant. Add the shrimp, and immediately season with salt, pepper and crushed red pepper flakes. 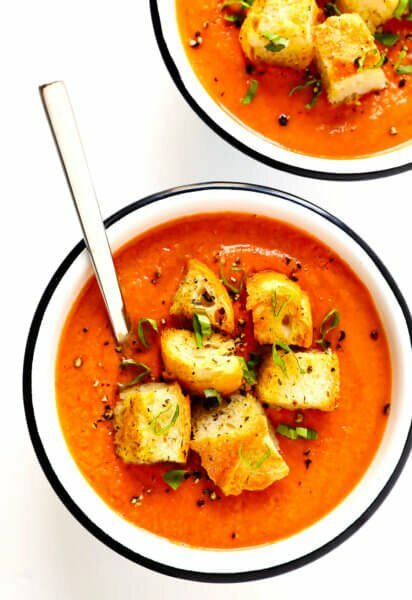 And don’t skimp on those red pepper flakes — they add great depth of flavor. Once the shrimp are cooked and pink, add in some chicken stock, white wine, lemon juice and zest. Let it all sizzle and cook for an additional minute. …or served over some pasta. 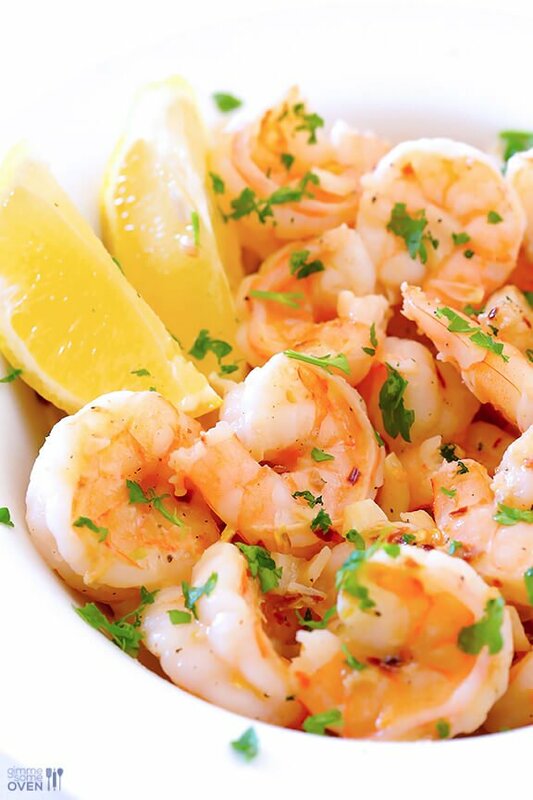 Either way, be sure to sprinkle the shrimp with some chopped fresh parsley and parmesan for an extra kick. 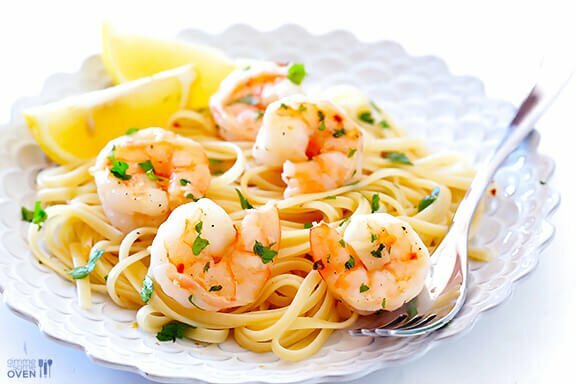 The result is a light and delicious garlic-lemon shrimp pasta, minus the tablespoons upon tablespoons of butter and calories that usually come with it. 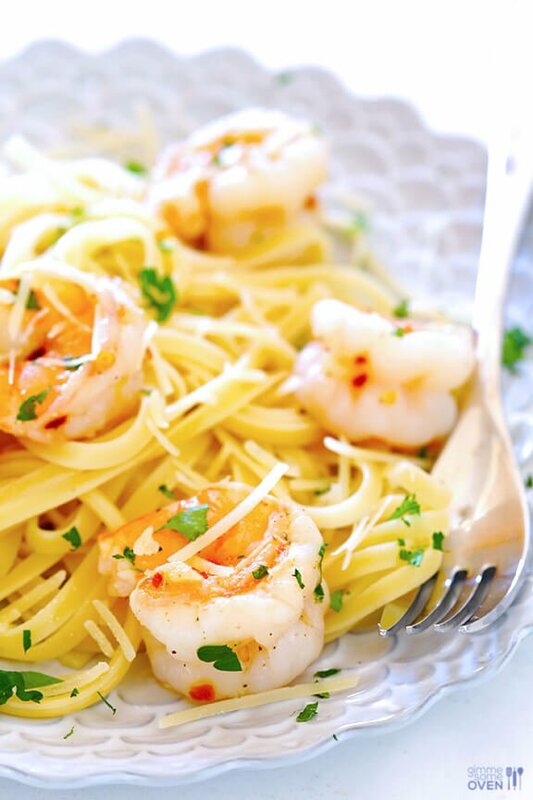 This skinny shrimp scampi is big on flavor, but much lower on fat and calories than the traditional version. 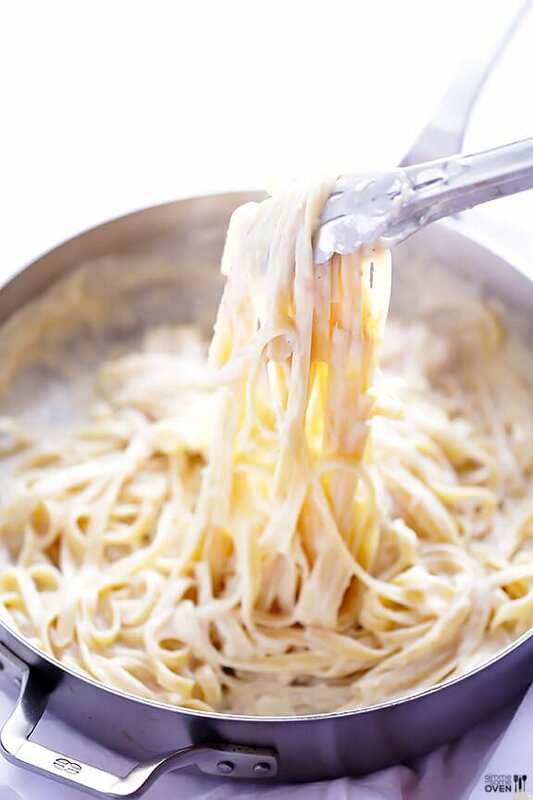 Cook pasta in a large pot of generously-salted water until al dente, according to package instructions. 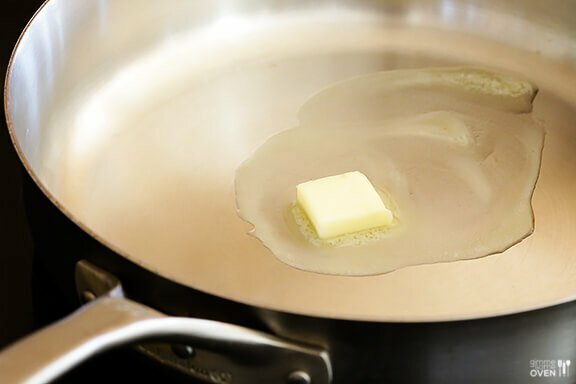 Meanwhile, heat butter in a large saute pan over medium-high heat. Add shallot and garlic and saute for 2 minutes, or until fragrant, stirring occasionally. Add shrimp and immediately season (sprinkle) with crushed red pepper flakes, salt and pepper. 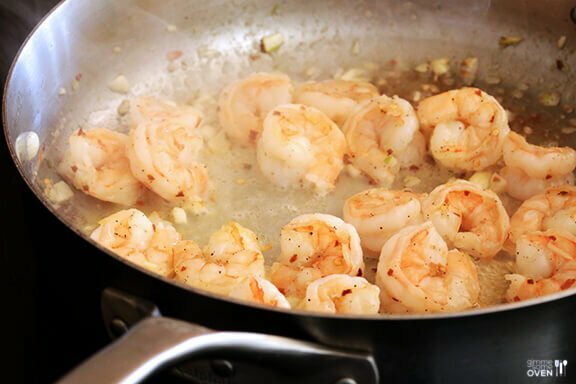 Continue sauteing the shrimp with the garlic for about 3-4 minutes, or until pink on both sides and no longer opaque. 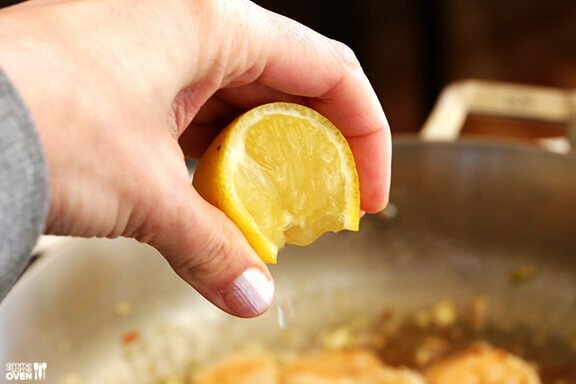 Add in the chicken stock, wine, lemon juice and lemon zest, and stir to combine. Let the mixture continue cooking for an additional minute to boil down, then remove from heat. Drain the pasta, and serve topped with the shrimp scampi. 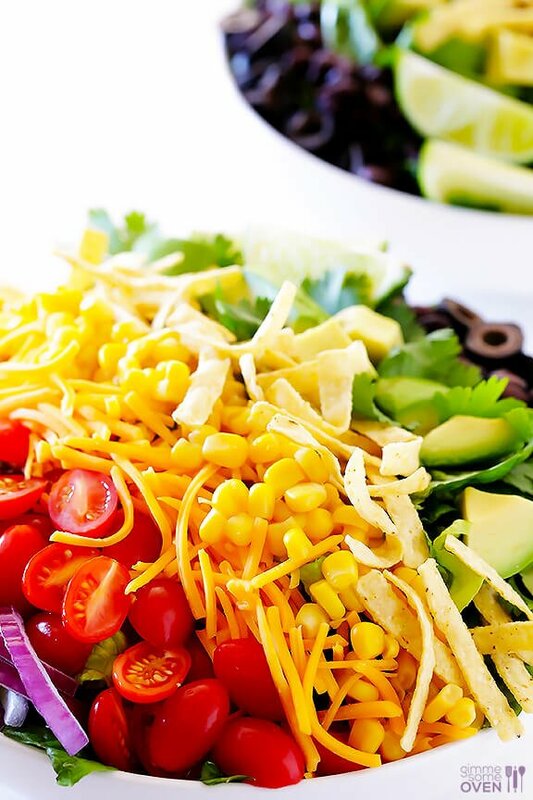 Sprinkle with desired toppings. I made it by the recipe. Too much garlic,and I’m Italian. You put the shrimp in way too soon. It only takes 3 min. Other than tha it was great. 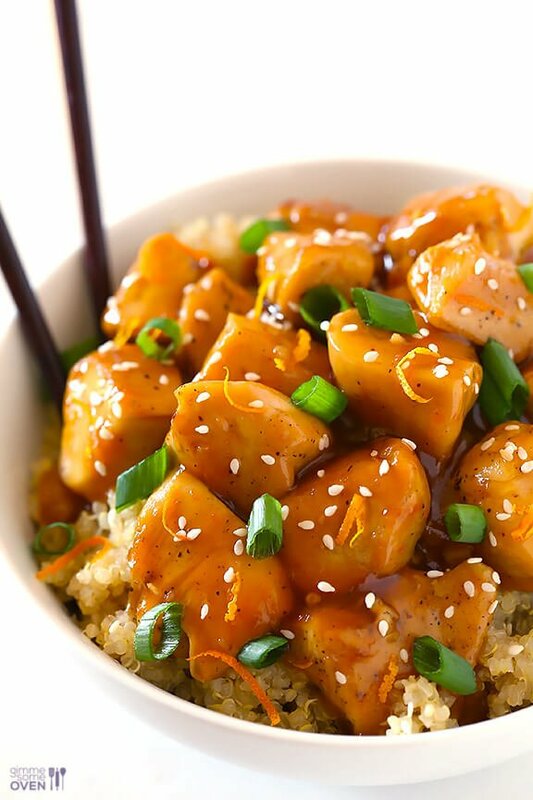 This is one of our favorite meals. Always turns out greats nd it’s healthy! I made this recipe and it turned out great. 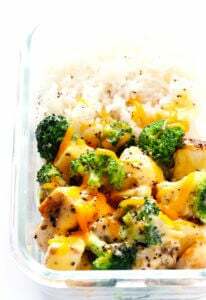 I served it with steamed broccoli and that completed the meal. I will make this one again.